Which online betting website provides the fastest withdrawal? It's always crucial to get paid quickly when we are considering a sports betting website for gambling. If it takes a substantial amount of time to complete your payout, you would hardly appreciate such bookie. When it comes to cash out your winnings, some sportsbooks may cause various problems. So why to wager at betting websites that cannot or even don't want to execute your withdrawal request as fast as possible? Instead, you should opt for a bookmaker where you won't experience difficulties with your payouts. 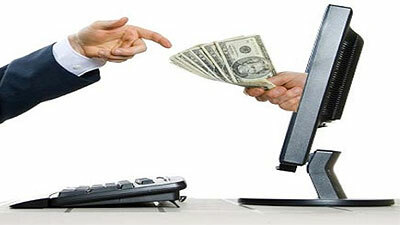 It is not a good idea to request withdrawals from bookies on paper checks as any other method would serve you faster. Also with a lot of manual work, there are more risks of errors, delays or even postal losses on the way of delivering of your check. When you request a payout to your plastic card or via bank transfer, most competitive sports betting websites perform with pretty same speed. In this case, the most time-consuming part is after your money have already left the bookmaker. Typically it takes about 2-5 working days to receive your withdrawal from bookies and mostly depend on how fast your (or an intermediate) bank works proccessing income payments. If you ask us a name of a betting website where you get paid the fastest possible way, we say: Pinnacle. Besides the fact that this is one of the best online sportsbooks with most competitive odds and large betting limits, it also sets an industry record with its fastest withdrawals in electronic currencies like Skrill or Neteller. You will receive your money as fast as within 30 minutes (for requests under $3,000) or within some hours (for payments more than $3,000) from the sports betting website of Pinnacle!